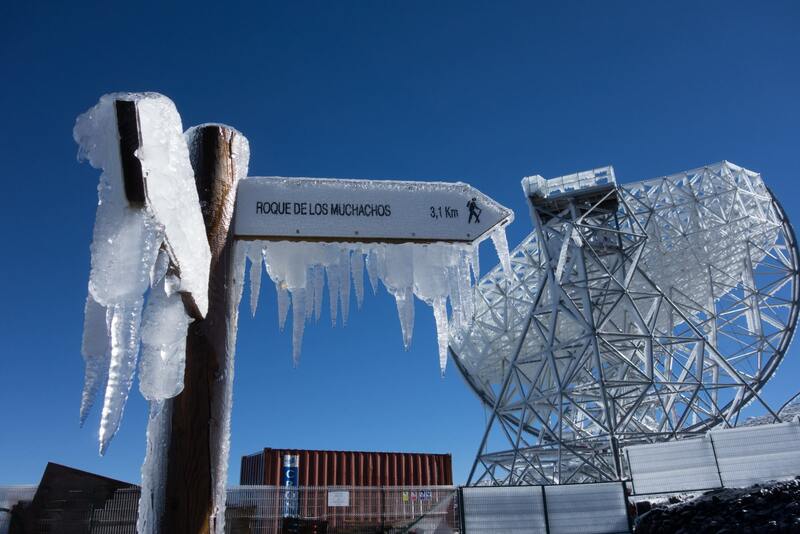 Things got a bit icy at the Roque de los Muchachos earlier this month! During the second week of February, a bad cold weather front with strong winds, low temperatures and rain hit the island of La Palma. Once the storm passed and the clouds cleared, spectacular ice formations were left behind. The Large-Sized Telescope (LST) prototype, parked during the construction towards high elevation angles, acted as a perfect collector of these ice formations. 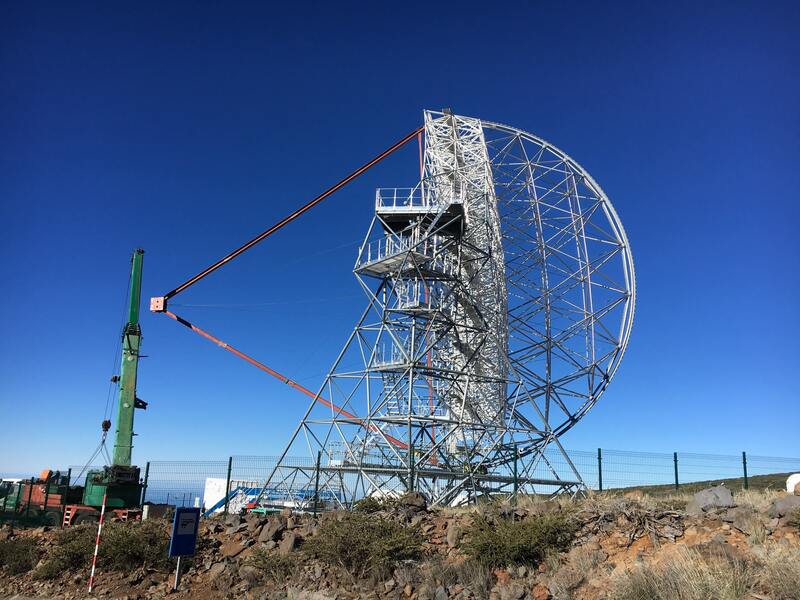 After a careful inspection, the LST team was happy to learn that no damage was found in the telescope structure during the extreme conditions. After the weather cleared and the ice melted, the team was able to successfully complete the LST prototype structure when the dummy counterweight was put into place on 17 February. The counterweight structure resembles the camera support structure but is somewhat shorter and heavier, allowing the dish to turn toward the park position. In this position, 198 segmented mirrors will be mounted in the coming months. The dummy counterweight will be removed before the installation of the proper camera support structure in June 2018. More photos available on our Flickr page.